Never draft a baseball player with blue eyes? Josh Hamilton of the Texas Rangers blames his difficulties on the field on his blue eyes. Sounds crazy right? Not really. Having blue eyes can make it more difficult for a baseball player to see during day games compared to players with darker eyes. Blue eyes have less pigment in them than darker eyes resulting in excessive light entering the eye which scatters to cause unwanted glare. Optometrists know the phenomenon as "intraocular light scatter". Apparently Hamilton is struggling to find a sunglasses that he is comfortable with. He should find something made of polycarbonate (for impact resistance), with no-glare coating and with polarization. Polarized sunglasses allow light waves traveling in only one direction to enter the eyes, eliminating the natural, scattered way that light travels and making vision sharper and clearer. Also, given the high rate of baseball eye injuries, why not use baseball-specific saftey glasses? Watch this video from ESPN where the announcer talks about Buck Showalters's advice never to draft a blue eyed player because they can't see as well. Fortunately for these players, there is eyewear for the problem. New laser surgery turns brown eyes blue - permanently. Which color is better according to eye doctors? A 2011 study published in the journal, Pediatrics, found that in addition to refractive errors that can be corrected with glasses such as myopia and astigmatism, ocular disorders like strabismus (eye-turn, cross eyes) and amblyopia (lazy eye) that occur in infants, toddlers, and children may present lifelong problems for the child. Strabismus and amblyopia require more intense treatment such as vision therapy or surgery. 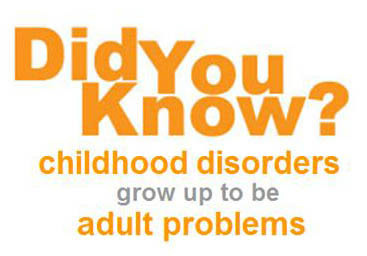 Children who become adults with these conditions must adapt and compensate for them. Moreover, vision problems that were present in childhood may continue to plague the patient into adulthood, affecting overall health, self-perception, educational attainment, job choices, and a number of other social factors. Basically, people with these disorders find it very difficult to do things that people with healthy vision take for granted, like effortlessly understanding visual learning. The fact that 80% of classroom learning happens through our visual system means a child with lazy eye, for example, is at a significant disadvantage in school. 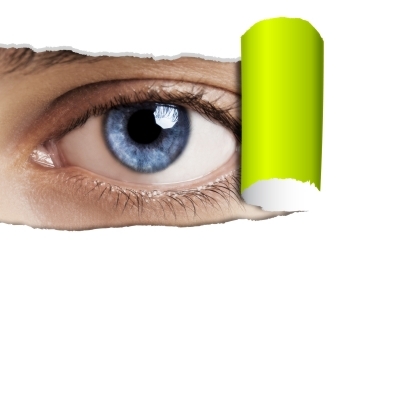 The study confirms what we already know about vision disorders and quality of life. A person's life can be needlessly limited if a treatable vision disorder is ignored. Amblyopia is rarely evident to parents or teachers and can only be diagnosed during an eye exam. Even the child will not know that she is not seeing as well as others. That is why all children should have an annual eye exam. In British Columbia the provincial health plan covers visits to an optometrist up to the age of 18 so there is really no reason why a child needs to have their potential needlessly limited. In our society there is no reason for people to grow up with strabismus or amblyopia. Yet, tragically, it is still too frequent. Laser eye sugery makes you queasy? I came across this news article from Houston, Texas on corneal reshaping, which doctors call orthokeratology (the article curiously used the term "corneal molding", which makes it sound like your cornea is past its expiry date...). Orthokeratology reshapes your cornea while you sleep so that you have perfect vision during the day. No glasses, no contacts, no surgery. It is very popular with people who are active in sports, especially swimming, people who don't like the discomfort of contact lenses and people who are tired of wearing glasses. It is also a good option for people who are not good candidates for laser eye surgery or who just don't like the idea of having elective surgery on their eyes. The patient will wear custom designed hard contact lenses while they sleep (they are very comfortable) and remove them in the morning. Sometimes there is a trial and error process to get the fit perfect and to ensure maximum effectiveness and comfort. During sleep, the lens reshapes the cornea of the eye resulting in 20/20 vision upon waking. Orthokeratology should be done under doctor supervision to ensure that the lenses are doing their job properly, that the eyes are adapting well to the lenses and that there is no risk of damage is being done. The risks of orthokeratology are generally the same as those associated with regular contact lens use, namely that improper care and cleaning can cause infections. New research even suggests that orthokeratology can stop the progression of myopia (near-sightedness). Many young people have the unnerving experience of seeing their glasses prescription get worse and worse every time they go to the eye doctor. Orthokeratology appears to be one way to slow or stop that process. Incidentally, I have also had success in my clinic with using vision therapy to stop the progression of myopia. Many of my patients have opted for orthokeratology and I'm happy to say that the vast majority of them really love it. If you are interested in orthokeratology, go see your optometrist who will assess your eyes and determine if you are a good candidate for it. To read the Houston, Texas article, click here. Eye injuries, especially sports eye injuries are the leading cause of blindness in kids (read my previous post on this subject here) but they are easily preventable by wearing protective eyewear, which can prevent 90% of sports related eye injuries. The tragedy is that even though sports eye injuries are so easily prevented, very few athletes (adults or children) wear protective eyewear. Even when protective eyewear is worn it is often not worn intelligently. For example, batted baseballs are 3.5 times as likely to cause an eye injury than a pitched ball. Unfortunately, most players do not wear protective eyewear when they are not at bat. Surgery is an option in extreme cases of injury but prevention is the best medicine. It also saves our taxpayer funded health care system millions of dollars a year. This is money that is more properly devoted to treating cancer and other diseases that are not so easily prevented. For example, an American study found that a basketball eye injury to a child under 15 costs the system an average of $3,996. •All kids need protective eyewear. •Ordinary prescription glasses do not provide adequate protection. •Eyewear should be sport-specific and sit comfortably on the face. •Protective eyewear is usually made of polycarbonate. Protective eyewear includes safety glasses and goggles, safety shields, and eye guards specially designed to provide the correct protection for a certain activity. Ordinary prescription glasses, contact lenses, and sunglasses do not provide adequate protection in eye-hazardous situations. Safety goggles should be worn over them. The best material for safety lenses is polycarbonate. Polycarbonate lenses are lightweight, scratch-resistant, thin, and can be designed to meet most eyewear designs or prescriptions, they are also 10 times more impact-resistant than other materials. What about athletic performance in protective eyewear? Studies show that protective eyewear does not hinder the player’s sight while participating in athletics. 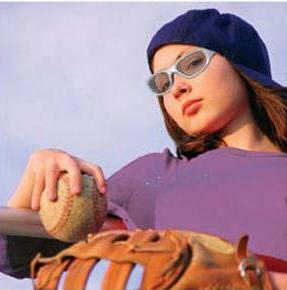 In fact, an athlete may play better in protective eye wear because she is not afraid of a potential eye injury. Prunella, W. (1999). Average societal cost of body part injured. Injury cost model. Bethesda, MD. Miller, B.A., & Miller, S.J. (1993). Visual fields with protective eyewear. The Journal of Orthopedic and Sports Physical Therapy, 18(3), 470-472. Conn, J.M., Annest, J.L., Gilchrist, J., & Ryna, G.W. (2004). Injuries from paintball game-related activities in the United States, 1997-2001. Injury Prevention, 10(3), 129-143. Fineman, M.S. (2001). Ocular paintball injuries. Current Opinion in Ophthalmology, 12(3), 186-190. Dr. Jason Morris has an important warning about certain shaped kids sunglasses (like heart and star shaped sunglasses) that can actually increase the harm to your child's eyes from UV light. Be careful when selecting sunglasses for your children. Read Dr. Morris's warning here.